About Turboplus Aircraft Systems, Inc.
Lawrence “Larry” Shapiro created a legacy of inventions and design concepts that spanned 50 years, all which were self-funded. His passion for flying started when he was a young teenager, even though his father disapproved. He worked odd jobs to fund his secret flying lessons, but at age 16 he had to confess to his father so he would sign off on his private pilot application. Larry Shapiro was a flight instructor before being hired by United Air Lines, and then became one of their youngest captains at age 23. Larry developed two products that would assist airline pilots at map management. The first was the Rolaire map device that displayed cross-country airway routes and had backlighting for nighttime use. The second was a map holder for the flight control wheel. 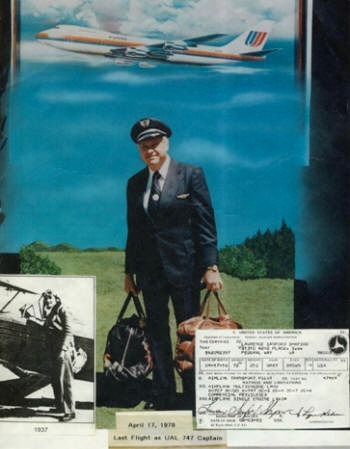 One of Larry’s products was enthusiastically purchased by Jeppesen, who was also a United pilot. Today, Jeppesen is a worldwide leader for navigational mapping and charts. His focus returned to general aviation when he began teaching his 15-year-old son, Greg to fly in their family airplane. Larry’s first general aviation product was designed to assist pilots after they landed at remote locations, only to become stranded without ground transportation. This spawned the infamous Suitcase Cycle. These were full size Honda and Suzuki motorcycles designed to be disassembled, without tools, in under ten minutes. It is still a cult product after 40 years, and if you’re lucky enough to find one for sale, pick it up, tear it down and take it with you on your next adventure. When Larry turned 60 he had reached the mandatory airline retirement age, but that didn’t stop his innovative personality. He created two successful companies, both designed to improve pilots’ personal aircraft powerplant and airframe shortcomings. The first was Turboplus, Inc. The unbreakable work beliefs of Larry Shapiro allowed him to create a new generation of small airplane aftermarket products. His passion and drive launched the successful aviation aftermarket company, Turboplus Inc. “Turboplus” became a brand name in the early 1980’s for its engineering design and engine enhancement product, “intercooling”. This general aviation aftermarket innovation received high acclaim from pilots, engineers and aircraft owners around the world. His concept inspired aircraft manufacturers to seriously consider incorporating intercoolers as standard equipment on their turbocharged airplanes. Larry was granted a Supplemental Type Certificate and received FAA/PMA approval for his revamped turbocharged induction system and “new to industry” aftermarket intercooler design. The latter company he founded was Spoilers Inc. which brought airline type hydraulic wing spoilers to general aviation. This product was also aimed at engine preservation as it prevented “shock cooling” during rapid descents. Jeff Shapiro was with this father from the start of Suitcase Cycle, Turboplus and Spoilers Inc. Jeff now owns and operates Turboplus Aircraft Systems Inc. and Spoilers Inc. from his home town of Gig Harbor WA. 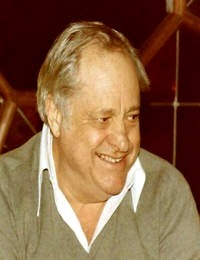 Larry Shapiro continued designing products outside of general aviation up to and shortly before his passing in 2001. Aviation Innovator. Worldwide Brands. Industry Leader. Copyright 2017 Turboplus Aircraft Systems Inc.